As a movement coach and rehabilitation professional, I must agree with spine specialists, there are far too many people with bad posture! Everywhere we go we see people burying their heads down into their electronic devices. 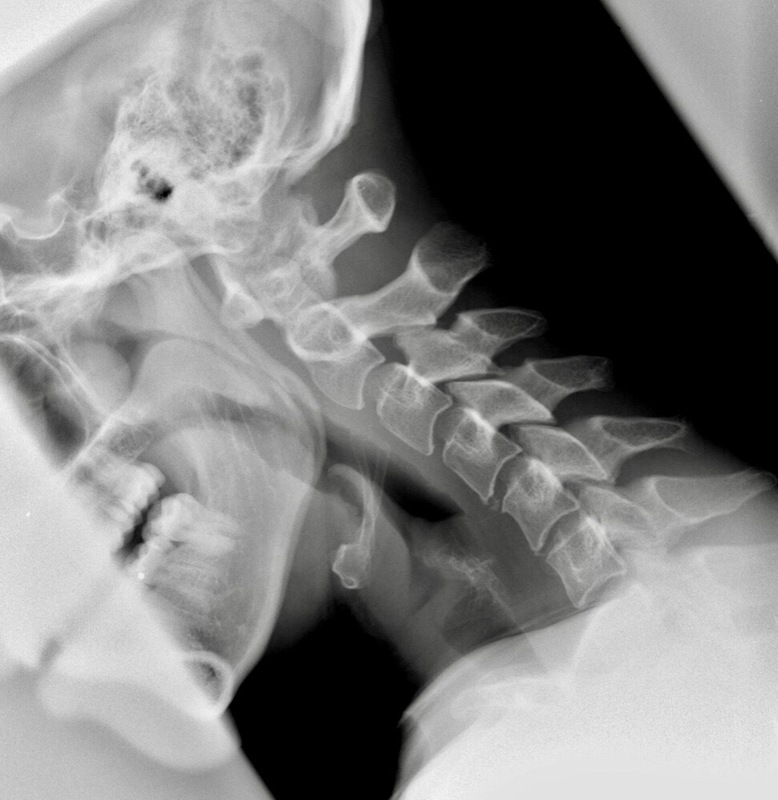 It’s severely abnormal for the human body to be placed in such high degree of spinal and skull flexion for an excessive period of time on a regular basis. Why do I say that? Well.. Fetal or Pronated positions are one of our foundational primal patterns for human beings. Pronation, widely known as Flexion, pulls the Human Movement System (HMS) into the midline of the body. We excessively sit or are constantly in a Fetal or Pronated position every day of our lives. Working, eating, commuting, television, the list is bountiful. This epidemic of a sedentary lifestyle is reeking havoc on the functionality of The Human System. The load that is placed on the spine from excessive flexion can irritate the disks in between the vertebrae and cause Subluxation (Herniation of the disks). This causes severe pain surrounding the spine, spasticity and even nerve impingement can occur. Additionally, we create a cascade of dysfunctional Inter-muscular Coordination – The ability of the neuromuscular system to allow muscles to work together with proper activation and timing between them (NASM essentials of Personal Fitness Training third edition). Moreover, it manifests gross Arthrokinetic dysfunction – A Biomechanical and neuromuscular dysfunction in which forces at the joint are altered, resulting in abnormal joint movement and proprioception (NASM essentials of Personal Fitness Training third edition).This is why Chiropractors, Movement therapists like myself and others are so busy! People are in more pain than ever because of their cell phones. Compensatory movement can be viewed similar to this: The Human body is perfectly designed to function and keep us alive by allowing us to get from point A to point B. Or even from point A to point G or X. As we encounter stress on regular basis, those we are conscience of and those we are not conscious of, effects the body and as a result, forces the system to adapt its movement based on the joint dysfunctions acquired by stressful stimuli or insult. Studies have shown that traumatic stressful events are stored in the memory center of the brain called the Hippocampus. From a survival stand point, this is an extremely logical process to possess in order to continually allow our bodies to adapt to our ever changing environment. For example: It is more important for our brain to recall not that, ‘there’s a lovely tiger lily field behind that rock over there’, but it should recall that ‘there is a Cobra den behind that rock’. Makes sense right? I mean we get the biggest releases of dopamine (Neurotransmitter that is responsible for making us feel good for things that cause pleasure), several of them being staving alive, eating, sleeping, having and passing on our genes. Our industrialized lifestyle forces us into daily activities that deteriorate our movement capabilities. Excessive sitting is now the new smoking. Type two diabetes is the seventh leading cause of death in the United States (http://www.diabetes.org/diabetes-basics/statistics/). We are like zombies addicted to our devices and over stimulated with LED pixels that our brains cannot shut off because it does not know the difference between night and day despite still releasing melatonin (http://www.health.harvard.edu/staying-healthy/blue-light-has-a-dark-side). Tight pectorals, carpels (anterior portion of the forearm), and over developed fingers from excessive systemic texting and typing are causing more pain symptoms. Despite our technological and scientific advances, we as human beings are moving worse than ever before. about any of my services or methodologies.